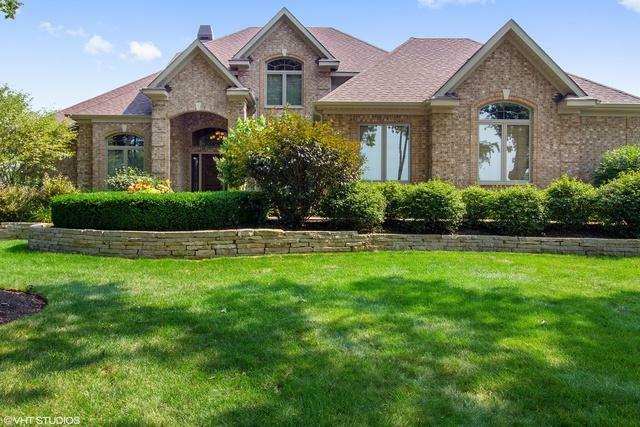 Sprawling brick executive estate with built-in pool on 1.9 acres, backing to nature. 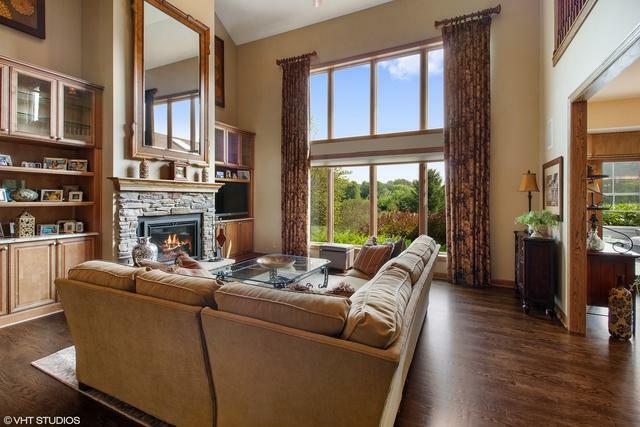 Panoramic views of woodlands from windows, patio, pergola, and solarium. 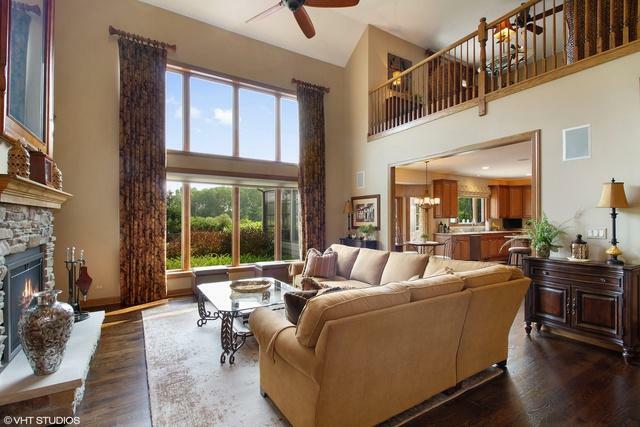 Gleaming hardwood floors throughout first floor. 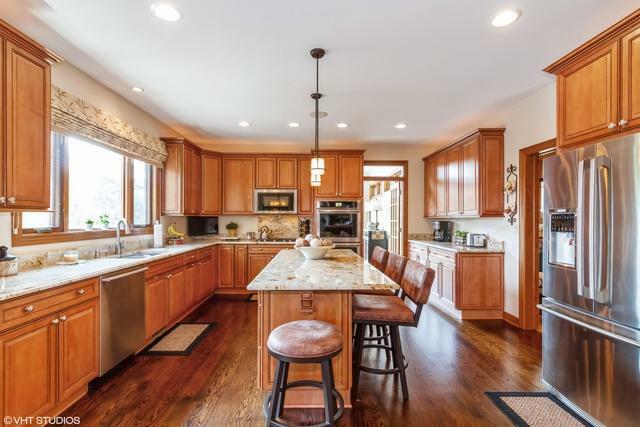 Gourmet kitchen with luxurious granite counters and island, upgraded cabinets, high-end stainless steel appliances, spacious eating area with slider to sun-drenched 3-season room. Elegantly appointed finishes and fixtures throughout. First-floor master suite with tray ceiling, jet tub, separate glass shower, granite sink, skylight. walk-in closet. First-floor office, formal dining room, and vaulted family room with stone fireplace (gas), viewable from second story loft. First-floor laundry/mudroom. Full finished English basement with 4th bedroom, full bath, rec and entertainment areas, kitchenette, bar, exercise room, and ventless contemporary gas fireplace. The quality and cul-de-sac location of this home will take your breath away! Grab it today! It's off the charts! © 2019 Midwest Real Estate Data LLC. All rights reserved. IDX information is provided exclusively for consumers' personal, non-commercial use and may not be used for any purpose other than to identify prospective properties consumers may be interested in purchasing. Information is deemed reliable but is not guaranteed accurate by the MLS or Ani Real Estate. The data relating to real estate for sale on this website comes in part from the Broker Reciprocity program of Midwest Real Estate Data LLC. Real Estate listings held by brokerage firms other than Ani Real Estate are marked with the Broker Reciprocity logo or the Broker Reciprocity thumbnail logo (a little black house) and detailed information about them includes the names of the listing broker. Some properties which appear for sale on this website may subsequently have sold and may no longer be available. NOTICE: Many homes contain recording devices, and buyers should be aware they may be recorded during a showing. Data last updated: 2019-04-19T22:51:42.48.